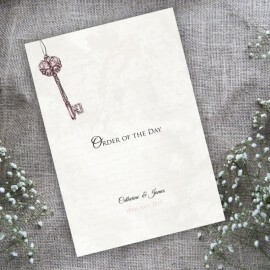 Our Love is the Key place cards are a great way to incorporate your Love is the Key wedding stationery theme into your wedding day. 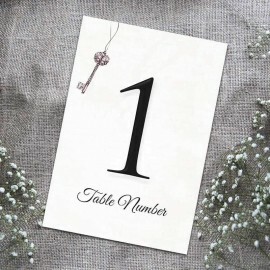 Our Love is the Key wedding place cards will help your guests find their place in no time at your wedding breakfast. 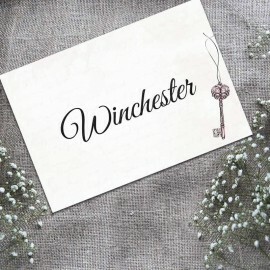 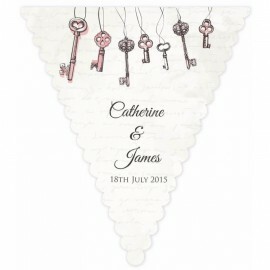 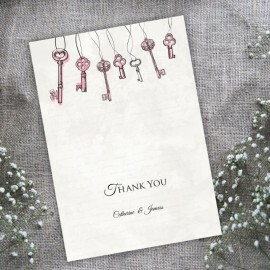 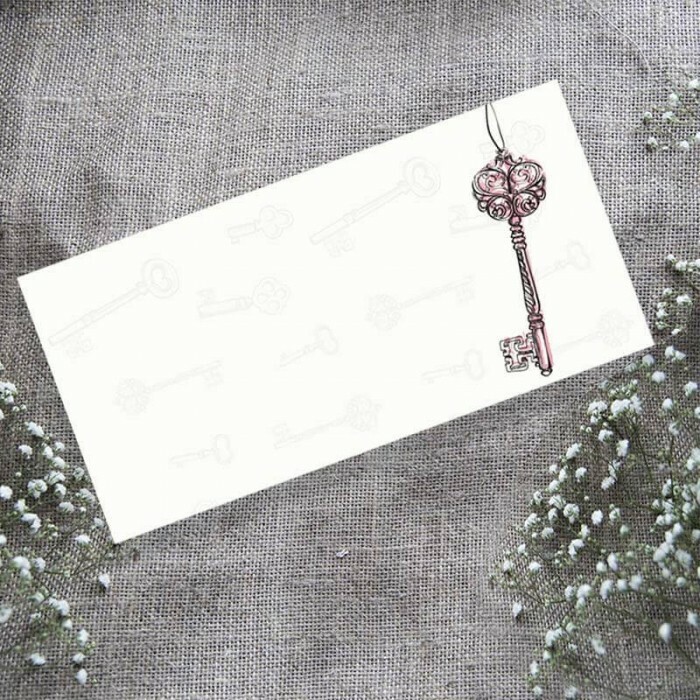 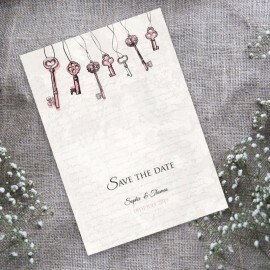 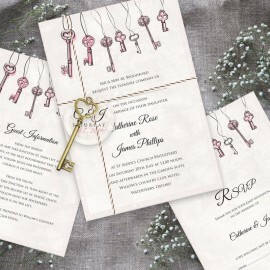 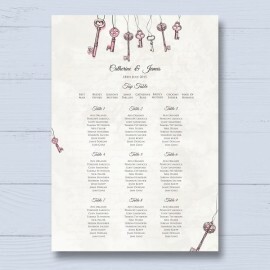 Our Love is the Key wedding place cards are printed on quality board and they feature an antique key motif on the right side, leaving plenty of space for you to write your guests' names.